A day long art, music and culture experience with a cross pollination of different artistic fields. 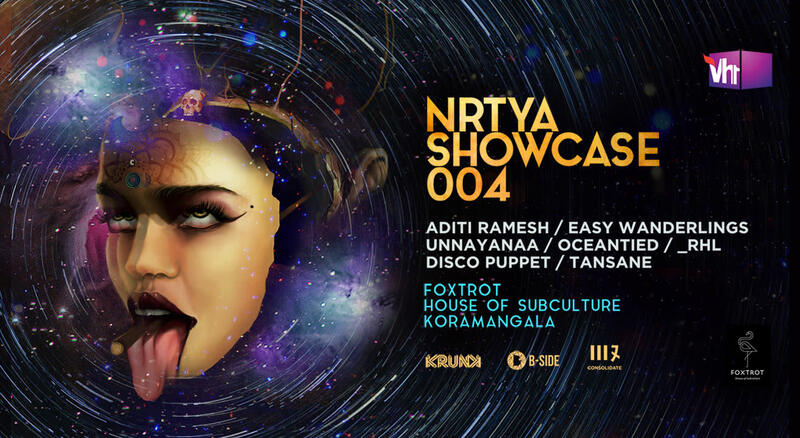 It incorporates exhibition of varied elements of artwork, vibrant decor and phenomenal performances by unique music acts from around the country at the scenic and gargantuan Foxtrot - House of Subculture in Koramangala with tangerine sun going down in the horizon. We are hosting some exceptional musicians from all over the country and a plethora of 30+ illustrators, photographers, painters, graphic, craft and visual artists from multifarious fields and parts of society, who are exhibiting their choice artwork throughout the gorgeous venue, representing a dynamic range of styles and aesthetics, where these phenomenal works of art will also be up for purchase.